Analysis: Byrd caught on with the Panthers as an undrafted rookie in 2016 but struggled to stay healthy during his three years with the team. He did score three touchdowns in eight games in 2017, with two coming on passes and the third on a kick return. 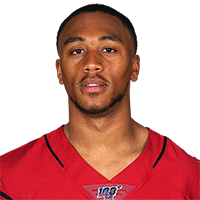 The 26-year-old will compete for a role as a return specialist and depth wideout in Arizona. Analysis: Byrd landed on injured reserve in late November after suffering a broken arm Week 12 against the Seahawks. The 26-year-old had only one catch for eight yards in eight games with Carolina in 2018, numbers that may explain why the team opted not to retain him for another year. Analysis: Byrd suffered a broken arm in Sunday's loss to the Seahawks and was already declared out for the season, so this was just a procedural move. D.J. Moore is listed as the next man up for punt returns on the Panthers' unofficial depth chart. Analysis: The return specialist is expected to be placed on injured reserve following the injury, so his 2018 campaign is over. His absence likely won't have an impact on the offense, but rookie D.J. Moore could take over Byrd's duties on special teams. Analysis: Byrd's absence won't have an impact on the Panthers' offense, but rookie D.J. 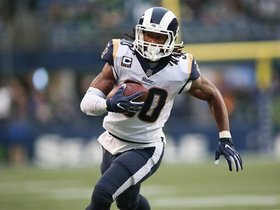 Moore could be asked to handle return duties on special teams. Analysis: Byrd was sidelined for Sunday's loss to the Redskins, but appears to have recovered from his ankle issue. The 25-year-old should serve as the Panthers' primary return man going forward. Byrd was officially ruled out for Sunday's game against the Redskins with an ankle injury, Bryan Strickland of the Panthers' official site reports. Analysis: Byrd was battling a knee injury earlier in the season, but he was added to the injury report and was unable to practice Thursday. The 25-year-old has played in two games this season, returning four punts for 44 yards. D.J. Moore should again fill in as the primary return man for the Panthers. 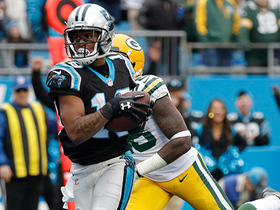 Byrd (knee) was a full participant in Wednesday's practice, Bryan Strickland of the Panthers' official site reports. Analysis: Byrd has missed Carolina's last two games with a knee injury, but seems to have fully recovered from his ailment and should be ready to go for Week 5 against the Giants. The third-year wideout caught 10 passes for 105 yards and two scores in 2017, though he figures to spend most of his time on special teams as Carolina's primary kick and punt returner. Byrd (knee) will be inactive for the second consecutive game Week 3 against Cincinnati. Analysis: Byrd was only able to log limited practices for the entire week after missing the season's second game against the Falcons. With Byrd on the shelf, look for rookie D.J. Moore to once again assume kick and punt return duties. Byrd (knee) is officially listed as questionable for Sunday's game against the Bengals, David Newton of ESPN.com reports. Analysis: Byrd has been a limited participant in practice this week to earn the questionable tag, and he did not play in last Sunday's loss to Atlanta. D.J. 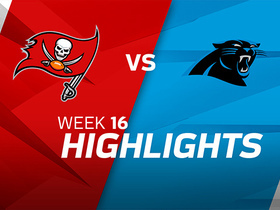 Moore filled in as kickoff and punt returner for the Panthers in his absence last week, and will likely do so again if Byrd is unable to suit up against Cincinnati. Byrd (knee) was a limited participant in Thursday's practice, Jourdan Rodrigue of The Charlotte Observer reports. Analysis: Byrd continues to nurse a knee injury, and has been a limited participant in practice all week after being sidelined Week 2. If the depth wideout is unable to suit up for Sunday's game against the Bengals, expect either Christian McCaffery or D.J. Moore to step in as the Panthers' primary kick returner. Byrd (knee) was ruled out for Sunday's game against the Falcons, Joe Person of The Athletic reports. Analysis: Byrd has been battling the knee injury this week and will not be ready for Week 2. Christian McCaffrey could see action on kick and punt returns in his absence, with D.J. Moore the next man up if the Panthers choose to limit the exposure of their starting running back. Byrd was only able to work out on the side at Thursday's practice due a knee injury, Jourdan Rodrigue of The Charlotte Observer reports. Byrd will assume a larger role with fellow wideout Curtis Samuel (chest) ruled out for Sunday's season opener against the Cowboys, ESPN's David Newton reports. 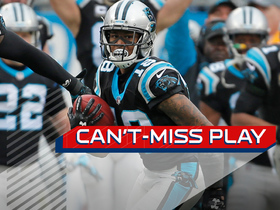 Byrd is among six wideouts named to the Panthers' 53-man roster for the regular season. Analysis: Byrd is clearly the last option among Carolina's receivers, but the fact the team made room for him once again shows its confidence in his ability. Two of Byrd's 10 catches last season went for touchdowns, but as things currently stand, his most consistent involvement figures to come on special teams. Byrd caught two of his three targets for 27 yards in Friday's 27-20 win over the Dolphins in the second preseason game. Analysis: Byrd also gained 45 yards across his two kickoff returns. 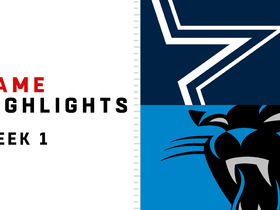 His first reception came from backup Taylor Heinicke in the final moments of the third quarter, and he followed that with a 17-yard grab from Garrett Gilbert in the fourth. As someone trying to make the roster and a depth receiver and returner, Byrd will hope to make a splash in Carolina's final two exhibition outings. Byrd (leg) is back to full health and ready to participate in offseason workouts in April, Bill Voth of the Panthers' official website reports. The Panthers have tendered a one-year contract to Byrd, an exclusive rights free agent, Max Henson of the team's official website reports. Byrd isn't expected to require surgery to address the lower-leg injury he sustained in Sunday's 22-19 win over the Buccaneers, Joe Person of The Charlotte Observer reports. 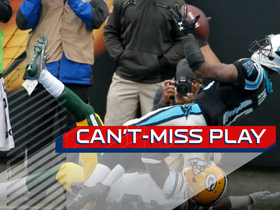 Panthers head coach Ron Rivera said Tuesday that Byrd would be placed on injured reserve with a lower-leg injury, Bryan Strickland of the Panthers' official site reports. Byrd suffered a knee injury during Sunday's 22-19 win against the Buccaneers. "He tweaked something on the outside [of the knee]," head coach Ron Rivera told Max Henson of the Panthers' official site afterward. "That's all I know." Analysis: Byrd's most important contribution of the game came with 2:43 left in the second quarter, when he returned a kickoff 103 yards to the house to break a 6-6 tie at the time. Otherwise, he managed one reception for 31 yards before departing with the knee concern on his third and final kick return. Until the Panthers medical staff pegs down a diagnosis, Byrd's status for Week 17 will remain unknown. Byrd caught three of four targets for 25 yards and two touchdowns in Sunday's 31-24 win over the Packers. Byrd caught all five of his targets for 37 yards in Sunday's 31-24 win over the Vikings. Analysis: Byrd hadn't hauled in more than one pass in any of his six career games entering Sunday, so his five-catch outing certainly surpassed expectations. With the Panthers looking for help outside of Devin Funchess at wide receiver, it'll be interesting to see if the second-year pro can carve out a meaningful role over the final three regular-season games. Byrd caught one of his two targets for 12 yards in Sunday's 31-21 loss to the Saints. Analysis: Byrd's appearance was his first since Week 4, and although his impact mirrored that of Brenton Bersin and Kaelin Clay, there isn't enough target volume for the latter portion of the Panthers' wideout depth chart to enable any option to become a significant fantasy commodity. Byrd (forerarm) will be activated from injured reserve and added to the 53-man roster for Sunday's game in New Orleans, Joe Person of The Charlotte Observer reports. Panthers coach Ron Rivera tentatively expects Byrd (forearm) to return from injured reserve for Sunday's game in New Orleans, Max Henson of the Panthers' official site reports. The Panthers officially designated Byrd (forearm) to return from injured reserve Monday, Bryan Strickland of the Panthers' official site reports. Byrd (forearm) was in attendance for Wednesday's practice and worked out on the side, Joe Person of The Charlotte Observer reports. Carolina Panthers kick returner Damiere Byrd flies for a kick return of 103 yards against the Tampa Bay Buccaneers in Week 16 of the 2017 NFL season. Carolina Panthers quarterback Cam Newton connects with wide receiver Damiere Byrd for 31-yard gain. Carolina Panthers wide receiver Damiere Byrd secures a bobbling catch for the 9-yard TD on a pass from quarterback Cam Newton. Carolina Panthers quarterback Cam Newton fires a pass to wide receiver Damiere Byrd for the 13-yard TD. 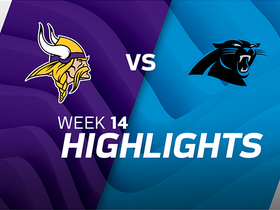 Carolina Panthers quarterback Cam Newton and running back Jonathan Stewart lead the way as the Panthers hold off a comeback attempt by the Minnesota Vikings to hang over for a 31-24 victory.